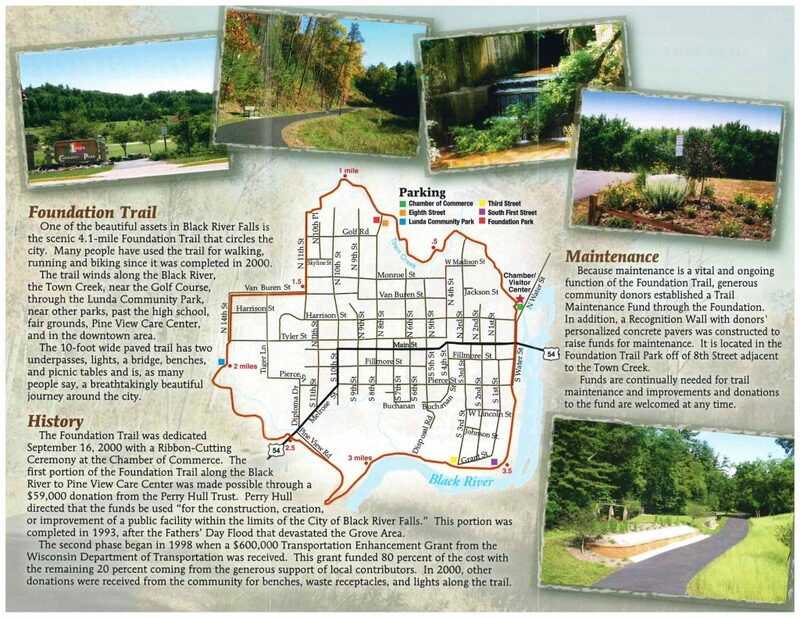 One of the beautiful assets in Black River Falls is the scenic 4.1-mile Foundation Trail that circles the city. Many people have used the trail for walking, running and biking since it was completed in 2000. The trail winds along the Black River, the Town Creek, near the Golf Course, through the Lunda Community Park, near other parks, past the high school, fair grounds, Pine View Care Center, and in the downtown area. The 10-foot wide paved trail has two underpasses, lights, a bridge, benches, and picnic tables and is, as many people say, a breathtakingly beautiful journey around the city. The Foundation Trail was dedicated September 16, 2000 with a Ribbon-Cutting Ceremony at the Chamber of Commerce. The first portion of the Foundation Trail along the Black River to Pine View Care Center was made possible through a $59,000 donation from the Perry Hull Trust. Perry Hull directed that the funds be used "for the construction, creation, or improvement of a public facility within the limits of the City of Black River Falls." This portion was completed in 1993, after the Fathers' Day Flood that devastated the Grove Area. The second phase began in 1998 when a $600,000 Transportation Enhancement Grant from the Wisconsin Department of Transportation was received. This grant funded 80 percent of the cost with the remaining 20 percent coming from the generous support of local contributors. 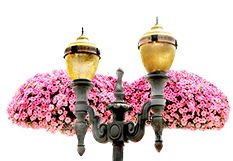 In 2000, other donations were received from the community for benches, waste receptacles, and lights along the trail. Because maintenance is a vital and ongoing function of the Foundation Trail, generous community donors established a Trail Maintenance Fund through the Foundation. In addition, a Recognition Wall with donors' personalized concrete pavers was constructed to raise funds for maintenance. It is located in the Foundation Trail Park off of 8th Street adjacent to the Town Creek. 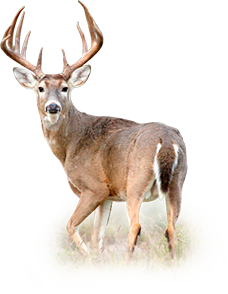 Funds are continually needed for trail maintenance and improvements and donations to the fund are welcomed at any time.